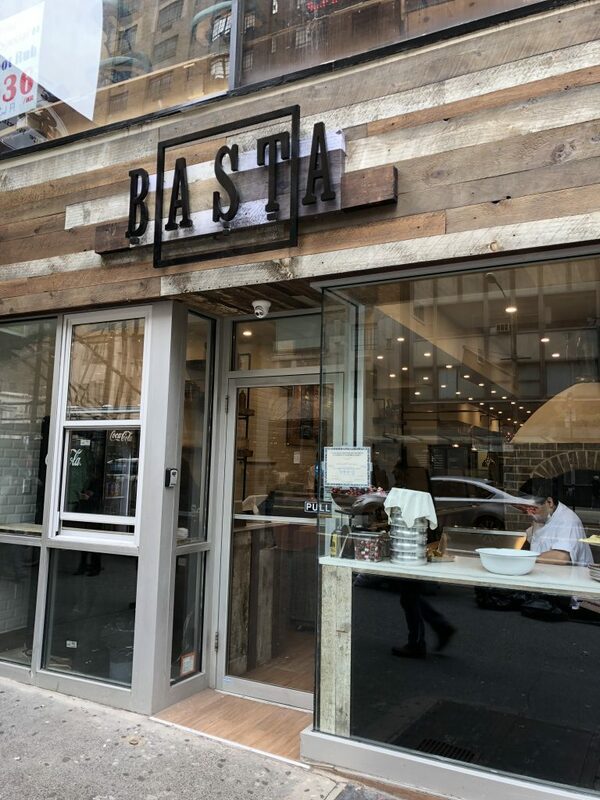 Having only opened earlier this year, Basta, located in midtown Manhattan, has closed its doors. The restaurant was a high end dairy eatery, offering modern Tel Avivian style dishes (like the ones in our Instagram post below). Hoping something kosher fills the space in the near future. 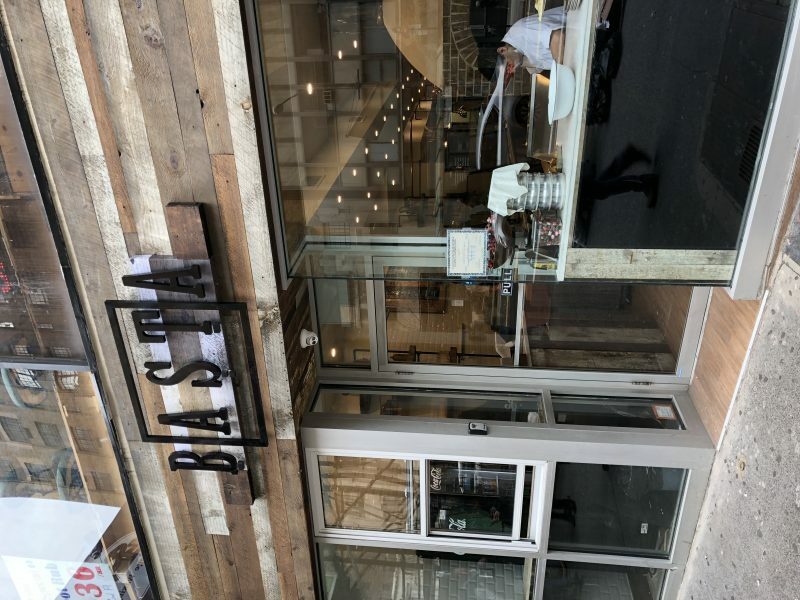 So yesterday I headed over with a bunch of buddies to check out the brand new @BASTAkitchenNYC in #midtown #Manhattan, and boy were we in for a treat. Basta is a new high end dairy restaurant run by one of @chef_meir_adoni’s former chefs, Raz Shabtai – and yes – they are open for lunch. To start, the restaurant is small and nicely designed with rustic and quirky elements throughout. Seating runs parallel to where most of the food is made, so you can see some of it in action. <Check our my Highlighted Stories on my profile from Basta for the interior and menu> As for the food, we tried, in order: 1️⃣ Yasso #Salad – fresh, light, super flavorful 2️⃣ Bread from Baghdad — essentially a deconstructed Sabich pizza. Loved it, especially with the Amba sauce. 3️⃣ Hummushuka – #hummus/shakshuka combo + za’atar bread and fresh side salad. 👌🏻 4️⃣ Neapolitan style #pizza with onions and feta – quite good. Not as good as Pizza Da Solo was, but top quality! 5️⃣ Pasta Salmon a la Fungo – broad #pasta in a creamy sauce w/ cremini mushrooms and wild salmon – I thought this was good but was overshadowed by the other dishes. 6️⃣ Georgian #Khachapuri with egg and cheeses served with a tasty non spicy harissa and a delicious fresh herb salad. Star of the meal. Not on the menu – secret item! 7️⃣ Espresso shot, Milano style (see my stories for the explanation) Overall this is a fantastic meal, albeit pricey for lunch. (FYI — We tried to pay, they wouldn’t let us). Can’t wait to come back soon and try dinner, which chef Raz says is completely different. Basta feels like eating in Jerusalem. ❤️ They’re on 34th st near Park, a couple doors from @paprikakosher. ———————————————————————— Your comments keep me going 💯. Shoot me a note or tag your friends if you like what I'm dishing up 👇🏼——————————————————————— #kosherrestaurant#kosherrestaurants #kosherfoodie #kosherfoodies#eeeeeats #everyday #instayum #instafood#instagood #food #foodie #foodies #f52grams#feedfeed #foodstagram #foodstyling #huffposttaste #buzzfeedfood #כשר #koshernyc #goodeats #kosher —————————————————————— Disclosure: The vast majority of our posts are not sponsored or compensated in any way.